I found this 1950s vintage postcard from the Israel I. Bick Coin, Currency, Jewelry and Stamp Shows at Circus Circus today. 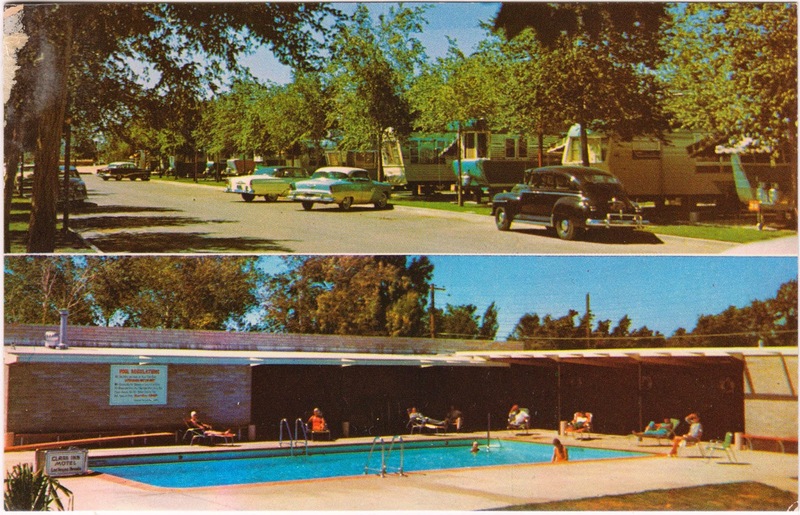 It shows the Mobile Home Inn, then located at 1804 E Fremont Street, downtown Las Vegas. The highlights listed on the card include a 25 ft x 50 ft swimming pool, "Downtown", "Modern Only", "Adults", and "No Pets."